Foundations of Color by Jeff Davis provides a straightforward examination of the major topics of color theory. Written in a clear and concise style, this textbook presents the basic concepts of color in a logical order, with each chapter building on the next. The book employs a highly visual design with numerous diagrams that elegantly illustrate each color principle. The diagrams are paired with relevant examples of contemporary art that connect theory to application. Foundations of Color has been written to be accessible by anyone with an interest in art or design. The efficient, practical approach provides useful guidance for beginning students and practicing professionals alike. Bridging traditional color theory with modern and digital applications, this book is appropriate for any creative field, including fine art, graphic design, interior design, fashion, photography, and web design. Foundations of Color is an essential addition to any art and design library. Chapter 1 - Color provides an introduction to the phenomenon of color, the physics of light, and color vision. Chapter 2 - Hue examines the defining property of hue and explores the idea of color temperature through warm and cool hues. Chapter 3 - Value examines the defining property of value and explores the use of a value scale for measuring normal value. Chapter 4 - Saturation examines the defining property of saturation, from chromatic to neutral to achromatic colors. It also discusses the color variations of tints, tones, and shades. Chapter 5 - Color Systems outlines systems for organizing color, from traditional paint to contemporary additive and subtractive systems. Primary, secondary, and tertiary hues are identified and organized into a color wheel for each color system. Chapter 6 - Color Schemes explores methods for developing color schemes, including monochromatic, analogous, and complementary relationships. Additional combinations focusing on hue, value, and saturation are examined for achieving color harmony. Chapter 7 - Color Interaction explores the interaction of color and effects such as afterimage, simultaneous contrast, optical mixing, and vibration. Chapter 8 - Color Composition concludes by reviewing the compositional effects of color. Topics include color's impact on emphasis, balance, space, and unity. 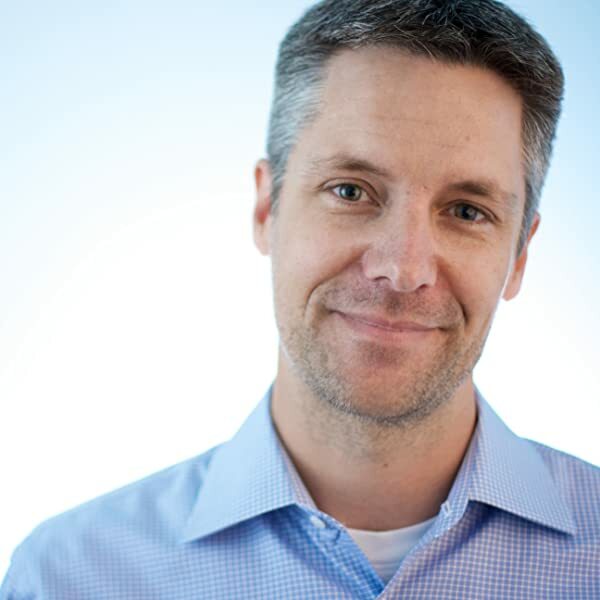 Jeff Davis currently serves as program director for the Art Foundations department at the Art Institute of Pittsburgh-Online Division, where he leads faculty and curriculum development. Prior to his role as program director, Jeff served as a faculty member teaching courses in design fundamentals and color theory. He is also the author of Foundations of Design, an introductory textbook for art and design students. Jeff is a practicing digital artist and has exhibited his work throughout the United States. He received his BA degree in Mathematics and Studio Art from Lawrence University, and his MFA degree in Painting and Drawing from the School of the Art Institute of Chicago. He currently lives in Tempe, Arizona with his wife and two children. If you buy a new print edition of this book (or purchased one in the past), you can buy the Kindle edition for only $2.99 (Save 80%). Print edition purchase must be sold by Amazon. Learn more. 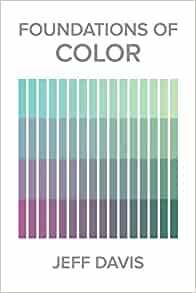 Foundations of Color is a helpful, concise and very readable guide to the basics of color and human color vision. I found it very helpful in preparing to give a course on Colors. Jeff Davis presents the topics in a very logical order for teaching them. Illustrations are clear, vibrant and pertinent. The material is basic. Someone with significant preexisting knowledge about color may not learn much. For most people it would be a great way to learn color. I chose 4 stars instead of 5 because of the price in relationship to the length, which is 80 pages of actual content. 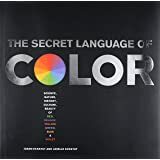 Good book, covers the fundamentals of color including print, digital, and paint colors. The book is small in size and not very thick at all. It doesn't get anymore basic than this and would be great for people just starting out in art to understand the basics of color theory. For more experienced artists, this book will serve as a solid reference in your book collection but not anything mind-blowingly advanced. You can judge this book by its cover. Inside it are the foundations of color. I used this book in a color theory class and will keep it on my shelf.